The summer’s scorching weather is almost coming to an end. We rarely had a glimpse of the sun here in Dumaguete since rainclouds have dogged our tails the last several days. As a tribute to the remaining days of summer, we decided to make this Mango, Broccoli and Curly Lettuce Salad with Red Onions and Balsamic Vinaigrette. The mangoes in this salad were very sweet, which tamed the mild bitter taste of the curly lettuce leaves. The broccoli added a crunchy texture to the salad while the red onions contributed a sharp bite to it. 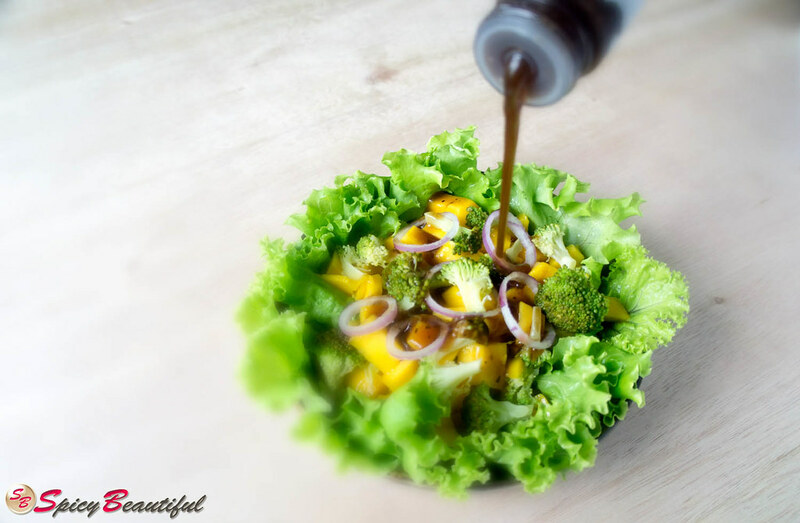 The spicy and tangy essences of the balsamic vinaigrette melded the acidity of mangoes and pungency of onions. The broccoli flowerets here are steamed but feel free to simply toss them to the salad right from its stalk and turn it into a healthy raw meal. This salad tastes so refreshing and energizing, it will remind you of the first day of summer you had this year! 1. Make a bed of curly lettuce on a shallow bowl. 2. 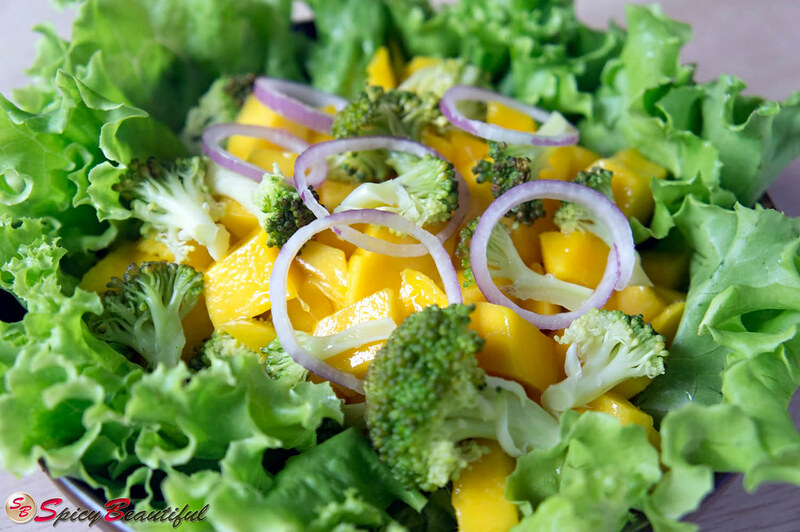 Combine the diced mangoes, steamed broccoli flowerets and sliced red onions atop the curly lettuce bed. 3. Drizzle a generous amount of balsamic vinaigrette over the salad and serve immediately. 4. Dig in and enjoy! 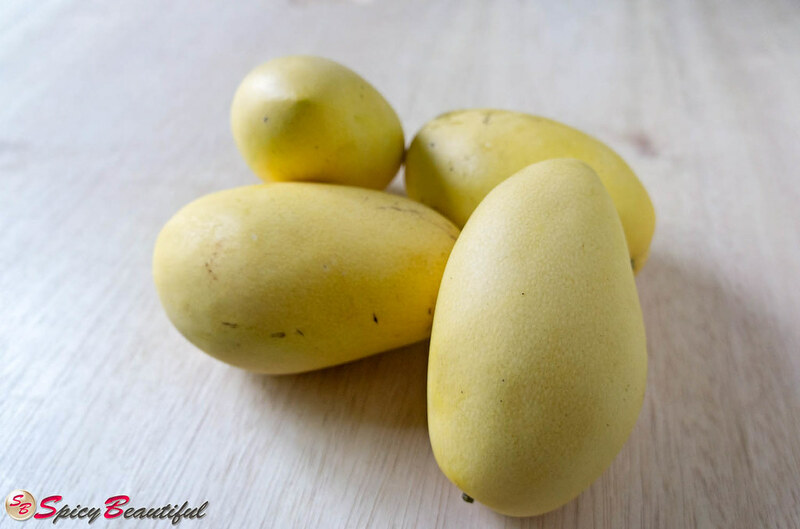 I really think mangoes don't get enough play in cuisine - thanks for a refreshing salad take.